Our Blue Marble Tile Side Tear Checks are a terrific choice if you like classy-looking checks that add visual interest without clutter. 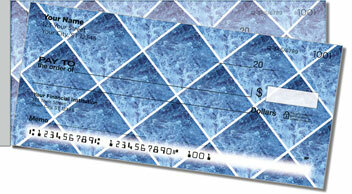 Laid on the diagonal and separated by clean white "grout lines," the marble tiles pictured on these checks are rendered in cool blues. They're distinctive and timeless in their classic simplicity. Better still, our professional-looking Blue Marble Tile Checks are now available in a handy side-tear format, a selection that combines form with function. 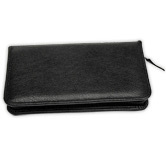 It's all thanks to the short line of perforation on the left, which gives you better leverage for a trouble-free tear. Fewer accidental rips means you'll void fewer documents, so it's easier than ever to keep your cool when writing checks! Don't delay -- order your own Blue Marble Tile Side Tear Checks today!